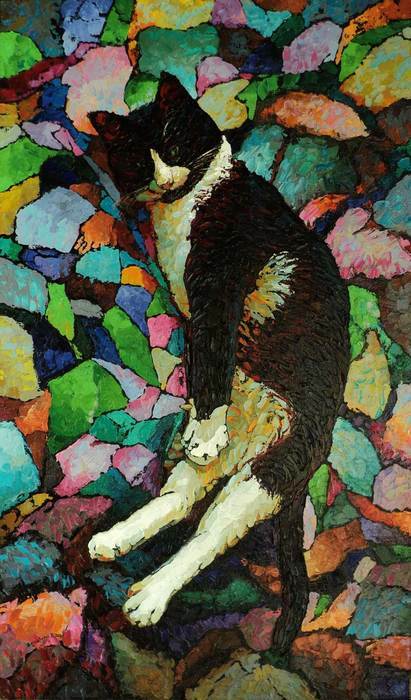 Veselovsky Valery was born August 27, 1964 in Moskow. Since 1981, he paints. Was engaged at first in art studios. 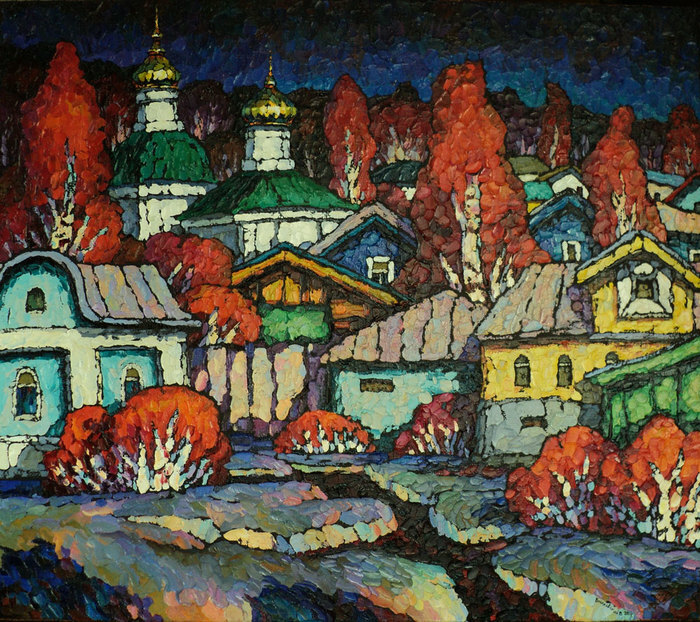 In 1990 by default has finished faculty of easel painting and drawing of a Publicity University of Arts in Moscow with difference. 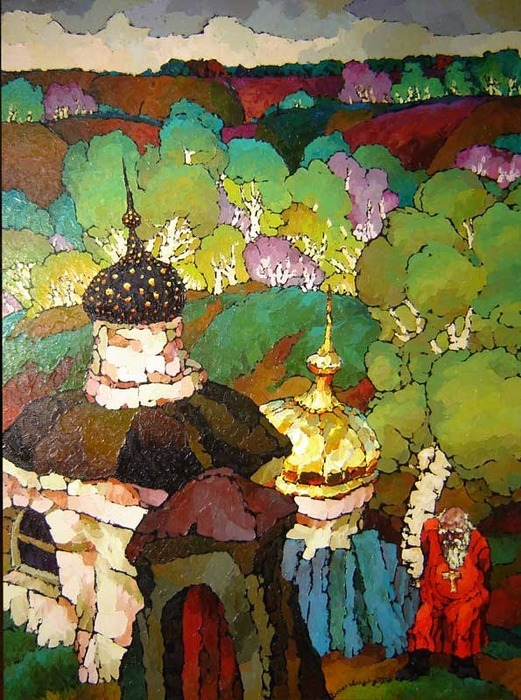 Is a member of the Moscow branch of the Artists’ Union of Russia and Moscow association of artists International Art Fund. 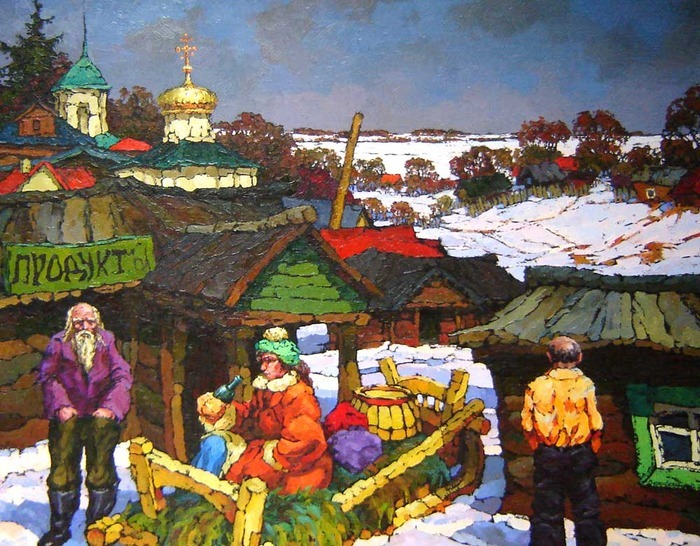 The Participant town and international exhibitions and contest. 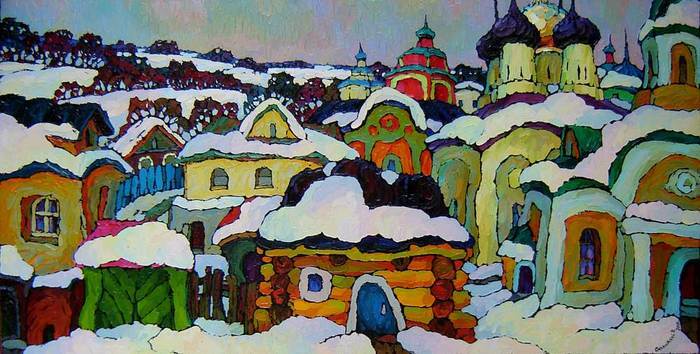 The poetry of Russian scenery and of rural life in this country, high aesthetic qualities of old Russia’s architecture full and inspire his art. 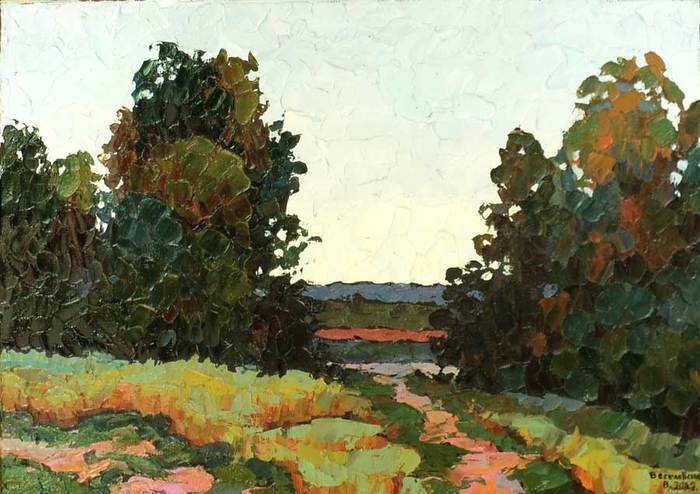 His intention is not to delineate the image of a particular piece of scenery, but to bring out through art what is common for Middle Russia’s nature in it. A picture to him is not just an enlarged and polished up sketch, but the product of imagination, generalizations. 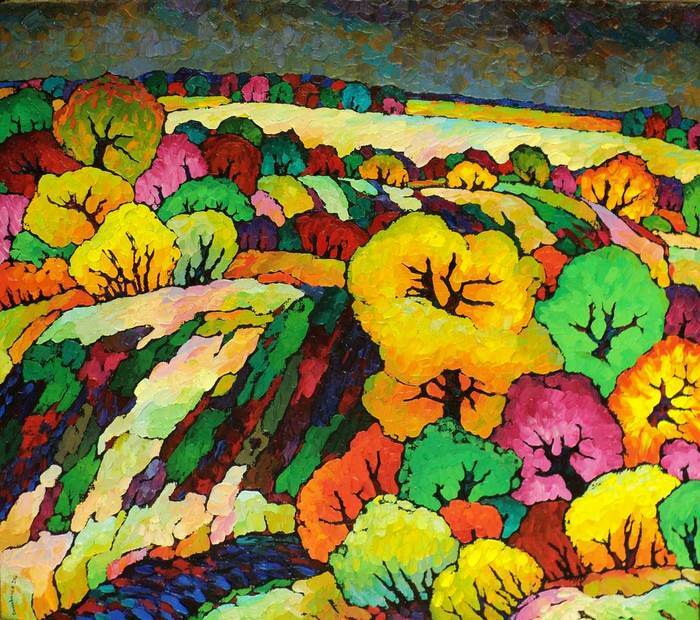 The wealth of colours artist uses in his spring and autumn landscapes is innumerable. Mixing paints is a technique of last resort for Valery, and he leaves to each colour its own power, freshness and shine to speak for itself. Veselovsky is a tireless experimentalist. 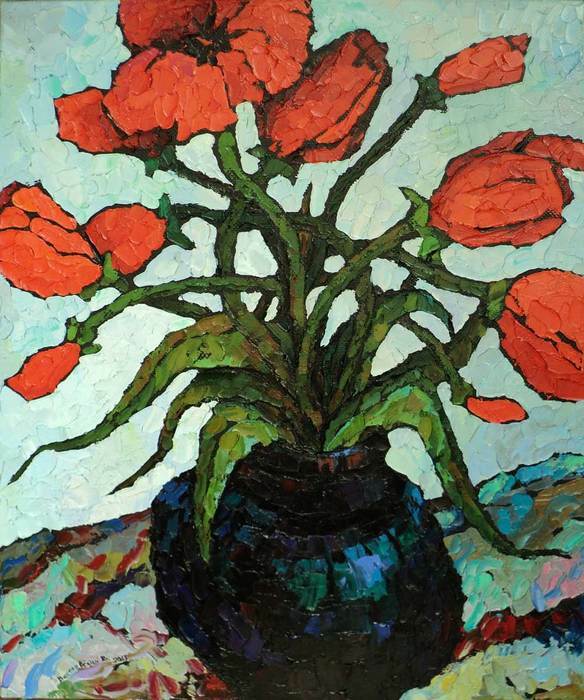 He experiments with texture and materials in order to achieve beautiful colors. Trying to achieve spontaneity and freedom in his treatment of colours Master explores their possiblities by using rough and smooth textures or by making use of paste-like gabs. Frequently uses heavy canvas material suchas jute or burlap to achieve texture. 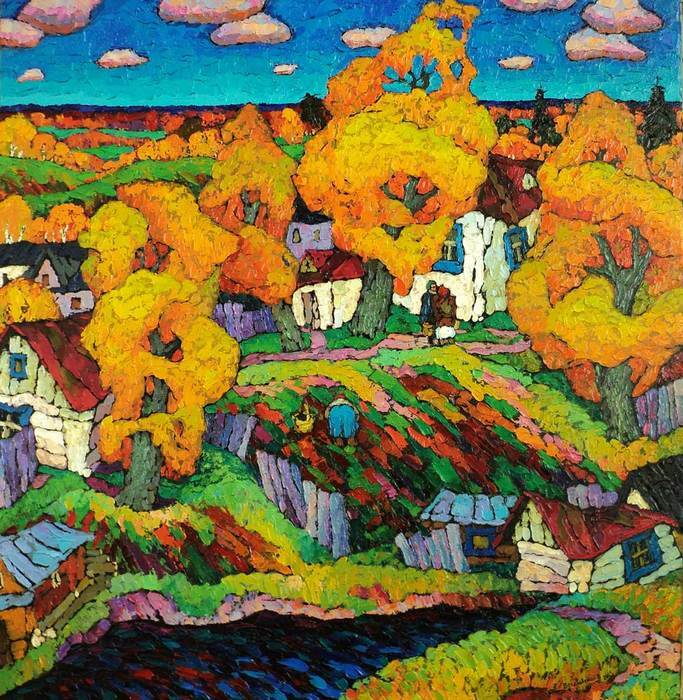 Many of his works are an intricate cross between genre and landscape painting. People are not just present in his pictures, but they live in them as they go about their everydey business. The beautiful is there for to see even in everydey happenings and he lends a poetical touch to what is a daily occurrence in life. In this vein, Veselovsky is an romanticist. 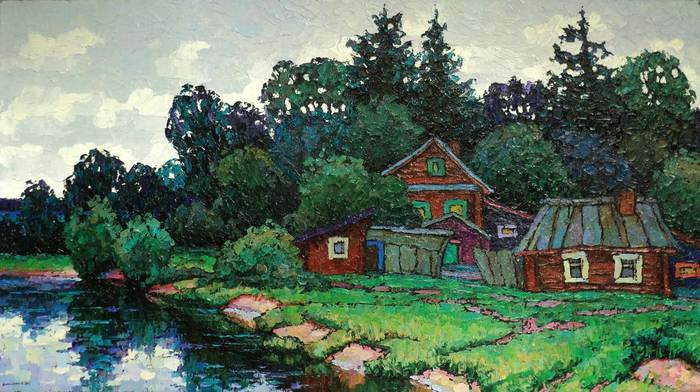 The artist’s works are among private collections in Russia, America and Europe. Veselovsky Valery. Canvas, Oil and Knife. 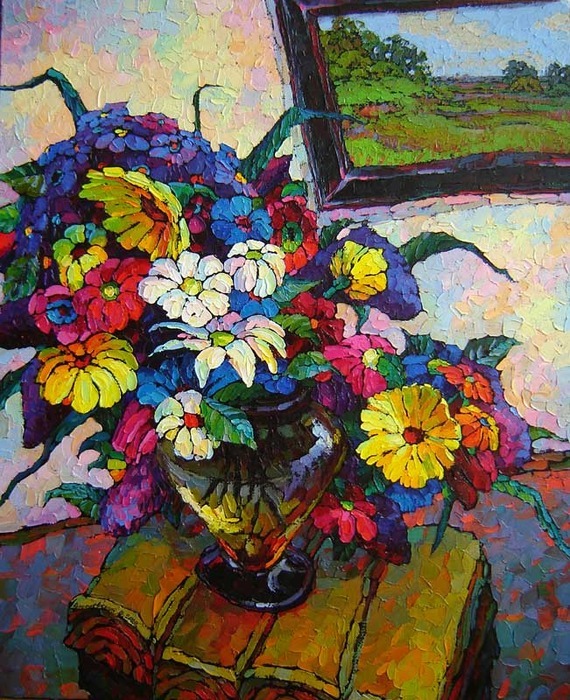 Landscape Russia's, still life, genre, free online art gallery of russian artist. 99x119. Oil on arras. 2006. 100x80. Oil on canvas. 2009. 100x75. Oil on canvas. 2006. 99x79,5. Oil on canvas. 2006. 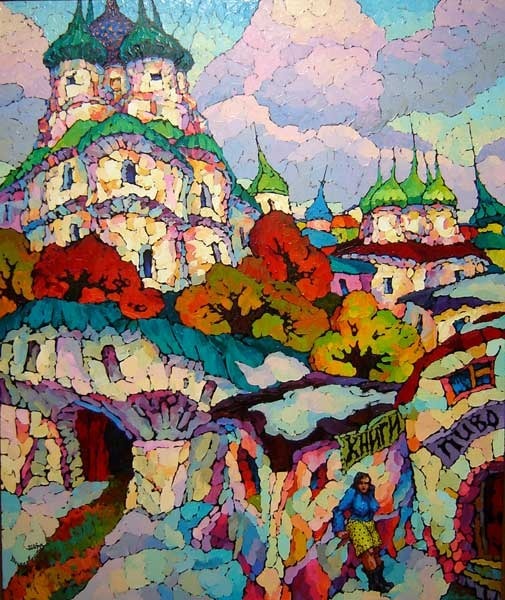 56x100cm. Oil on canvas. 2007-2013. 84x82. Oil on canvas. 2007. 60x50. Oil on canvas. 2013. 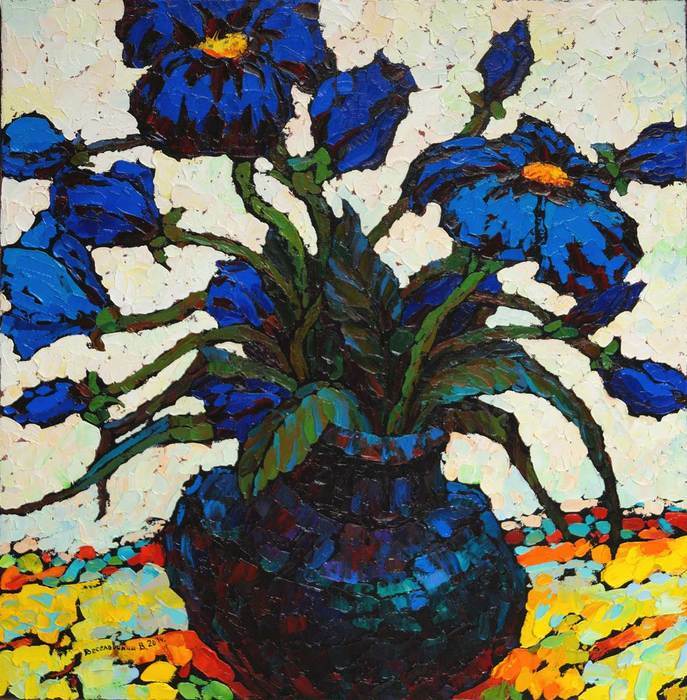 Dark blue flowers. Sketch. 55?54. Oil on canvas. 2014. Posad. Sketch. 60?119. Oil on canvas. 2008. Autumn dark (yellow). 80,5x91. Oil on canvas. 2013. Kuzya. The Awakening. 114x67. Oil on canvas. 2014.